The Minnesota birth injury lawyers at Eisbrouch Marsh understand the heartache & helplessness that accompany harm inflicted on a newborn because of medical negligence. Our careers are built upon a mission to help the families of babies injured by medical malpractice, and we pledge to provide an unrivaled degree of personal service, honest communication and vigorous legal representation to our clients. Everything we do is aimed at securing maximum compensation and justice for the youngest victims of preventable medical errors. No parent is ever prepared for the agony that comes from watching their infant confront devastating disabilities, permanent injuries, developmental delays and emotional issues caused by the negligence of doctors, nurses or other healthcare providers. Making matters worse, many of those parents face serious concerns about how to pay for the ongoing medical care, therapy and special educational services their child is very likely to require. If you are in such a position, our team of legal professionals stands ready and willing to explore every detail of your case, assess where things went wrong during labor and delivery and fight to hold those responsible fully accountable for the harm done. Every jurisdiction sets limits on the time within which civil lawsuits must be filed, and that includes actions based on allegations of medical malpractice. The state of Minnesota requires that lawsuits of this type be brought within four years of the date the cause of action accrued. However, the statute of limitations is tolled, or does not commence, while the potential plaintiff is a minor. In Minnesota, claims filed by a minor need to be asserted within seven years of the date the harm occurred, or one year following his or her 18th birthday, whichever time period is shorter. Claims filed by the parents of a birth injury victim for damages that they sustained themselves may still need to be filed within the standard time frame of four years. When it comes to deciphering the applicable statute of limitations in any given medical malpractice case, the assistance of an experienced medical malpractice attorney can be invaluable. If you have questions or concerns about filing a birth injury lawsuit seeking compensation for yourself or your child, one of the attorneys here can take you through the necessary steps to determine the most viable legal options available. We are fully committed to preserving your rights and those of your child to justice and the financial recovery you deserve. Whereas many jurisdictions have imposed caps on damage awards available to plaintiffs in medical malpractice cases, Minnesota imposes no such limits, broadly speaking. There is also no limit to the attorneys’ fees that may be awarded in Minnesota medical malpractice cases. Damages in any given case are therefore subject to the discretion of juries, though judges retain the ability to reduce awards if they deem it appropriate. Potential plaintiffs should note that the State of Minnesota has waived immunity for any liability stemming from acts conducted by state employees within the normal scope of their employment. The state remains immune from liability for losses sustained as part of the usual treatment, or lack thereof, by patients of state hospitals. In addition, the state is immune from any liability for damages categorized as punitive. In terms of state liability for compensatory damages, there is a cap of $200,000 per each claimant and $600,000 per occurrence for injuries arising prior to January 1, 1998, $300,000 per claimant and $750,000 per individual occurrence for events taking place on or after January 1 of 1998 and a cap of $300,000 per claimant and $1,000,000 per occurrence for claims that have arisen on or after January 1, 2000. The state has also waived immunity for all cities, municipalities, towns, counties and political subdivisions, and liability schedules for municipalities mirror those set for the state itself. Punitive damages are not available to plaintiffs in actions against municipalities. No matter the specific circumstances under which your child’s birth injury occurred, a seasoned medical malpractice attorney with Eisbrouch Marsh has the necessary knowledge to determine how best to proceed on your behalf. In all birth injury medical malpractice actions, it is vital that plaintiffs demonstrate that the healthcare providers in question did not meet the prevailing standard of care in the particular circumstances of the case. This means that the doctor, nurse or other medical professional failed to act as a reasonable practitioner within the same specialty would have done in a similar situation. Minnesota requires that either at the time of initiating a lawsuit or within 180 days afterward, the attorney representing a client in a medical malpractice lawsuit file an affidavit indicating that the facts of the matter have been presented to a qualified expert who has determined that the defendant healthcare provider’s actions fell below the relevant standard of care. At Eisbrouch Marsh, we have unrivaled access to an expansive network of medical experts, researchers and case investigators, all of whom work diligently in a collaborative fashion to build the strongest case possible on behalf of you and your child. The legal system offers birth injury victims and their families the right to seek compensation for harm sustained due to the negligence of doctors, nurses and others present during labor and delivery. The tragic truth is that acts and omissions occurring during these important minutes and hours can have life-altering, debilitating consequences that include spinal cord damage, cerebral palsy, brachial plexus injury and other severe harm. Making matters worse is the fact that injuries of these types are often largely preventable, and are the result of medical negligence. 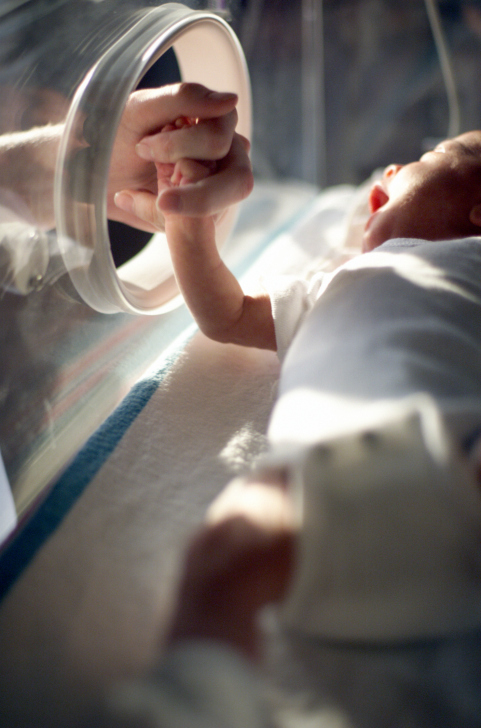 If you suspect your child’s birth injury has given rise to an actionable medical malpractice claim, our attorneys are prepared to provide a thorough review of the facts of your case and assist in the determination of whether negligence occurred during labor and delivery. There is no denying the fact that birth injuries can often be quite severe and create substantial financial burdens for parents who are suddenly faced with years of having to provide costly medical treatment, physical therapy and special education services for their child. The good news is that settlements and jury verdicts in such cases can often be quite significant, as indicated by some recent outcomes. If your child has sustained serious injuries as a result of a botched labor and delivery process, you are likely feeling hurt, angry and uncertain about your future. Perhaps you are wondering how you will be able to pay for the specialized care your child is certain to require for years to come. We are here to help. With more than 45 years of personal injury and malpractice litigation, our team of professionals will do whatever it takes to maximize your chances of receiving the compensation to which you are entitled. Contact us at 855-60-BIRTH to schedule a no-cost, no-obligation case evaluation in which we will assess the facts of your case and offer honest insights into the legal options available. Medstak provides accurate, up to date information about medical malpractice and birth injuries. This site is sponsored by Eisbrouch Marsh, LLC, with principal offices located at 50 Main Street, Hackensack NJ 07601. Our aim is to educate and empower readers with tools to protect their legal rights after being harmed by medical negligence. The content of this website has been prepared by Medstak on behalf of Eisbrouch Marsh, for informational purposes only and should not be construed as legal advice. The content posted on this website is not intended to create a lawyer-client relationship, and readers should not act upon information received on this site without seeking independent legal counsel. This website contains attorney advertising. Reported outcomes are not indicative of future results.